This week sees anyone with Scottish heritage - and many without - turn their thoughts to Scotland's greatest poet, Robert Burns, whose birthday is celebrated on and around 25 January. The world-famous Burns Supper has been a long-standing tradition in Scotland and beyond, dating back over 200 years. The tradition started a few years after the death of Robert Burns when nine of the poet's friends decided to gather in the cottage where he was born. 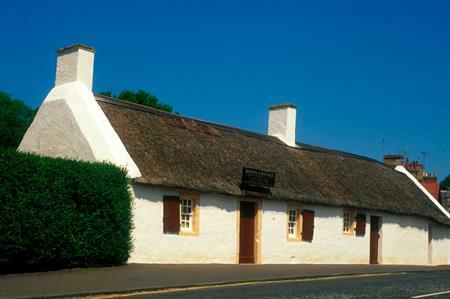 His birthplace is now a popular museum and visitor attraction in Alloway, south-west Scotland. The museum, available for corporate events, comprises the famous Burns Cottage where the poet was born, historic landmarks, a monument and gardens created in his honour and a modern museum housing the world’s most important collection of his life and works. The Scottish Exhibition and Conference Centre (SECC) has also established legendary status within the meetings and events industry for its annual Burns night event. This year sees a little bit of Scotland brought to the V&A Museum. VisitScotland has produced a comprehensive guide to everything you need to know to host your own Burns Supper including: organising the supper; the running order of a traditional Burns supper; where to get your haggis; and suggested Burns supper menus.